Excellent buys on luxury items with Made-in-France labels (perfume, jewelry, clothing and accessories, china, crystal, etc. ), are available in Guadeloupe. Additional discounts may be provided in some shops if payment is made by travellers check or with certain credit cards. 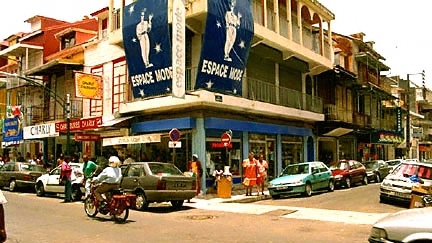 Champagnes and wines from France, as well as imported cheeses, patés and other delicacies line the shelves of small grocery stores as well as the modern supermarchés that have sprouted up on the island. In addition to these, there are very good local products that make fine gifts: dark and light rums, coffee beans, unusual spices, handicrafts in pottery, straw, and wicker, hand-painted fabrics and handmade lace. The traditional markets of Pointe-à-Pitre are animated open-air bazaars that contrast nicely with the chic little boutiques snuggled into city streets. Shops and stores are generally open from 9:00 in the morning to 13:00 in the afternoon and from 15:00 to 18:00 daily, as well as on Saturday mornings. Most stores are closed on Sundays and holidays. Please click here for a directory of shopping resources.